Editor's Note: Thank you for your interest, these offers expired and are no longer available. 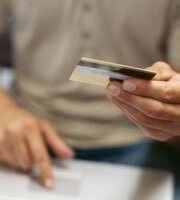 The credit card spigot is opening again, due to aggressive new offers and improved consumer confidence. Credit card borrowing rose in December for the first time in over two years, according to the Federal Reserve. At the same time, financial uncertainty remains. Unemployment remains above 9 percent. In many parts of the country, foreclosures are rising and real estate values continue to decline. Therefore, proceed with caution when new credit card offers come your way. There are actually a few credit cards that encourage and reward good behavior, and those are the credit card applications I recommend you focus on when sifting through all those offers arriving in the mail. Being a college instructor, I'm protective toward my students regarding credit cards and proactively on the lookout for a good deal on their behalf. The new Journey Student Rewards Credit Card from Capital One is a student credit card designed to help students build their credit confidently and reward them for responsible use. This credit card has low initial credit limits until students familiarize themselves with how credit works. It has free customizable text alerts and email alerts, which can help students keep track of their spending and due dates. The Journey card offers 1 percent cash back on all purchases and an additional bonus when cardholders pay their bill on time. There is no annual fee. Like Journey, the Capital One MTV Visa credit card also offers a bonus each month when the bill is paid on time. Up to five points can be earned for every dollar spent on entertainment, two points on restaurants, and one point on all other purchases. Points can be redeemed for gift cards, travel, MTV merchandise, events, and cash. There is no annual fee. The Citi Forward Card offers what they call ThankYou Points for paying on time and staying under your credit limit. Points can be redeemed for a statement credit or a selection of other great rewards. Citi charges no annual fee for this credit card. Discover's Motiva offers cash rewards for paying on time. Rewards can be redeemed for gift cards, merchandise, cash, or charity. There is no annual fee. While these are new and noble incentives, the interest rates and fees associated with the above credit cards can run high. Be very cautious as you enter or re-enter the credit card arena. Don't turn off the spigot for future credit opportunities by either failing to manage your credit cards or failing to follow credit card rules. 0 Responses to "Some credit card deals that support a second chance"